Looking through my archives this morning I came upon this blog I wrote in May. For those who have asked me; “how do you handle everything” in-regards to my family, my job as a firefighter and of course accepting Leukemia into our household. I think this explains my thought process or belief system the best. 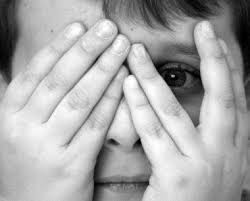 Fear is an emotion induced by a perceived threat which causes entities to quickly pull far away from it and usually hide. It is a basic survival mechanism occurring in response to a specific stimulus, such as pain or the threat of danger. In short, fear is the ability to recognize danger leading to an urge to confront it or flee from it (also known as the fight-or-flight response) but in extreme cases of fear (horror and terror) a freeze or paralysis response is possible….. Nice definition. But why are we “fearful”?